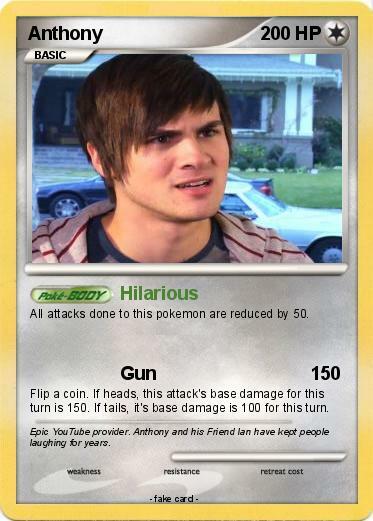 All attacks done to this pokemon are reduced by 50. Flip a coin. If heads, this attack's base damage for this turn is 150. If tails, it's base damage is 100 for this turn. Comments : Epic YouTube provider. Anthony and his Friend Ian have kept people laughing for years.